Let's play new entertaining online fashion game under the title Beauty Contest Dressup! Meet two pretty girls named Bella and Sarah who are about to attend a beauty contest. And guess what? They are in need your unique fashion sense! Do your best and do a make-up and a find the most stunning dress and combine it with a nice pair of shoes and stylish accessories. Who is gonna win and get the crown? Find out in Beauty Contest Dressup. Play online free game now and have fun! 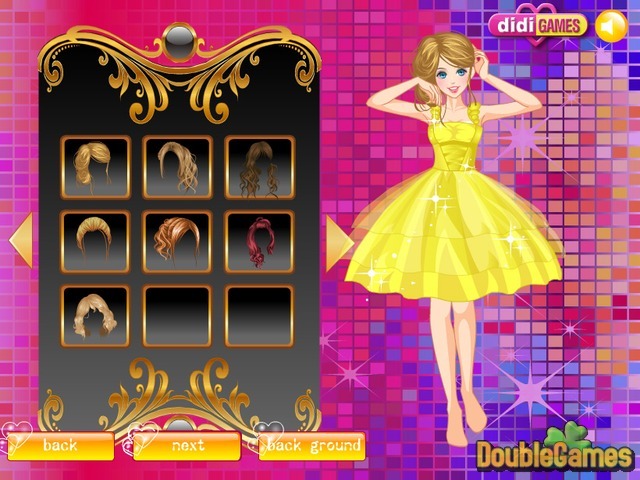 Title - Beauty Contest Dressup Online Game Description - Plunge into Beauty Contest Dressup, a Time Management game developed by Didi Games. Help two girls with outfits and makeup for the upcoming beauty contest.